Was your holiday ruined by cryptosporidium? 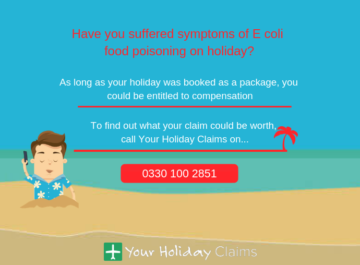 If you have been affected by cryptosporidium on holiday within the past 3 years, the expert solicitors at Your Holiday Claims can help you make a no win no fee holiday illness claim. 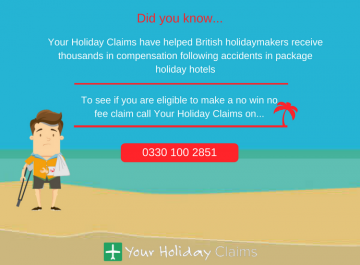 At Your Holiday Claims, we regularly help holidaymakers affected by cryptosporidium receive the compensation they deserve on a no win no fee basis. 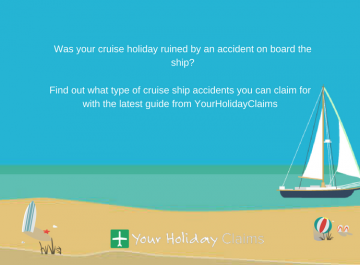 If you have suffered from a holiday illness as a result of cryptosporidium, our legal experts will be there to help you receive the best possible outcome for your claim. 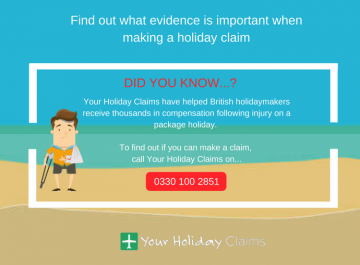 At Your Holiday Claims our holiday illness claims specialists understandÂ that a cryptosporidium illness contracted from contaminated water can ruin the holiday that you have worked hard to save for. 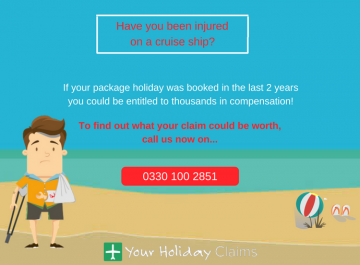 It is our determined aim to successfully claim compensation for theÂ pain and suffering caused by your illness and any other losses that you may have incurred. 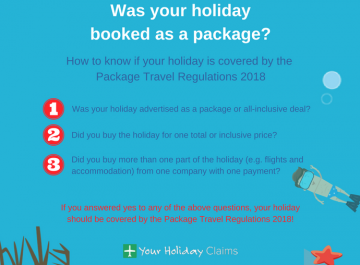 This can include the lost days of your holiday, any medical expenses you may have incurred, and any loss of earnings as a result of requiring time away from work due to sickness. 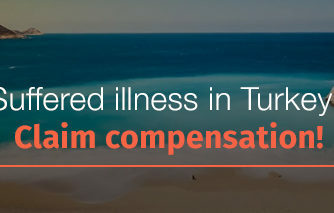 Our dedicated team of holiday illness solicitorsÂ recently helped our client Christine Niven receive £3,000 in compensation after her stay at the Hotel Riviera in Tunisia was ruined by cryptosporidium. Mrs Niven had travelled to the Tunisian hotel to celebrate her 43rd wedding anniversary with her husband but was soon left suffering symptoms including diarrhoea, stomach cramps, nausea and vomiting. 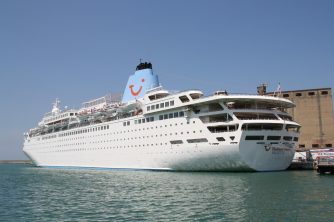 After receiving medical treatment for her illness she was diagnosed with cryptosporidiosis, thought to be causedÂ by being served watered down alcoholic drinks at the hotel. 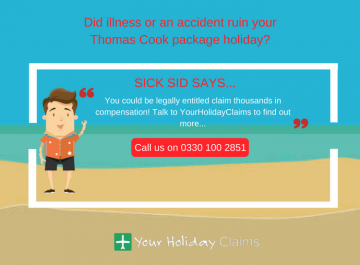 Our specialist holiday illness solicitors were able to help Mrs Niven bring a successful claim for holiday illness compensation for her ruined holiday directly against her tour operator Thomas Cook. It is important to be aware of the potential symptoms suffered by victims of Cryptosporidium. 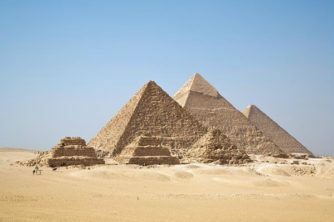 This debilitating illness can be contracted from a variety of situations, the most typical scenarios being contaminated drinking water and poorly treated swimming pools. If youve been struck by cryptosporidium on holiday, the expert holiday sickness claim solicitors at Your Holiday Claims are on hand to help youÂ make a no win no fee claim for compensation. 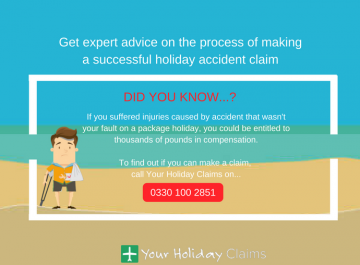 To talk to one a member of our expert team about your claim, call us today onÂ 0330 100 2851. 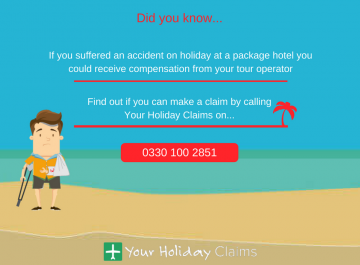 OrÂ if youre unable to speak to us right now,Â you canÂ start your holiday claim online.